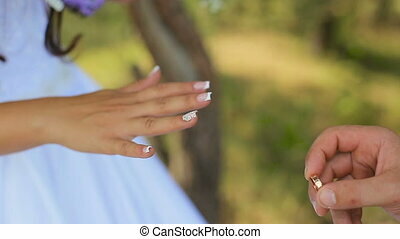 Bride and groom exchanging wedding rings on ceremony. 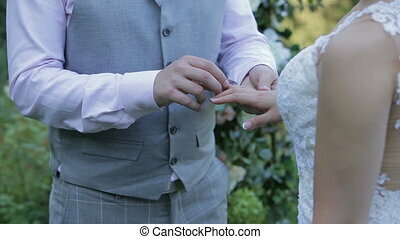 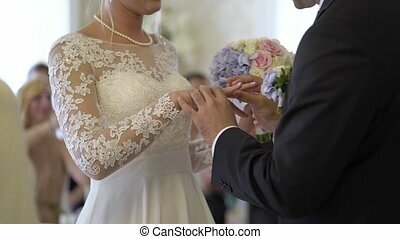 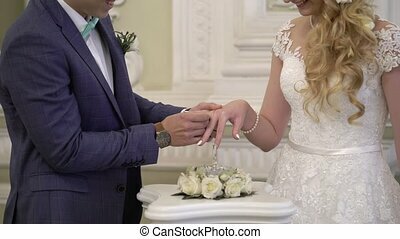 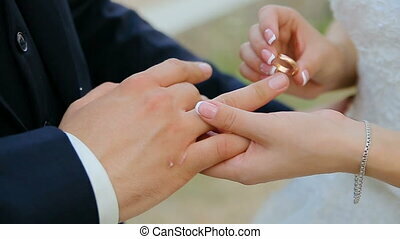 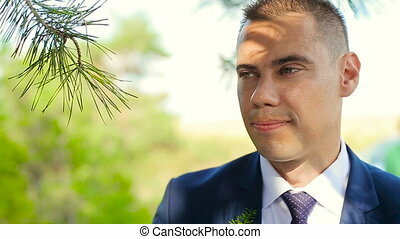 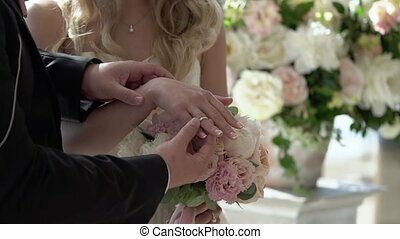 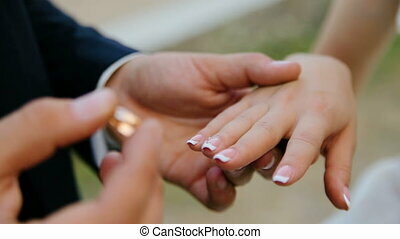 The groom puts the wedding ring on finger of the bride. 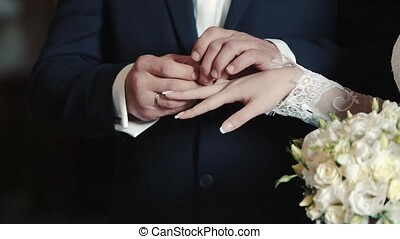 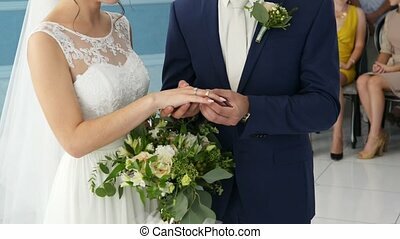 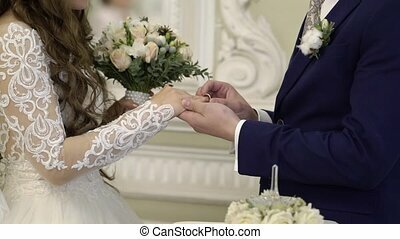 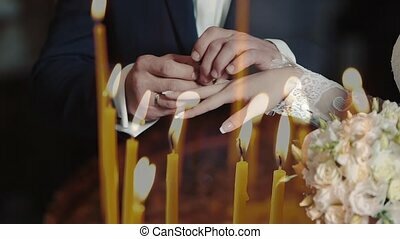 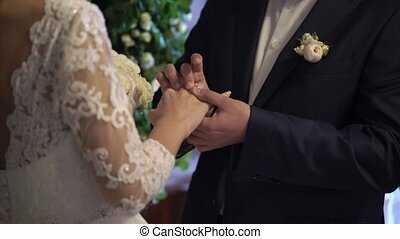 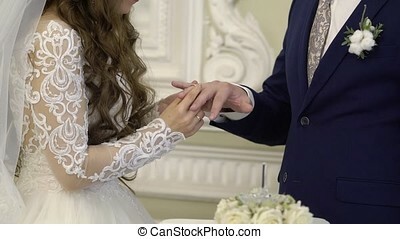 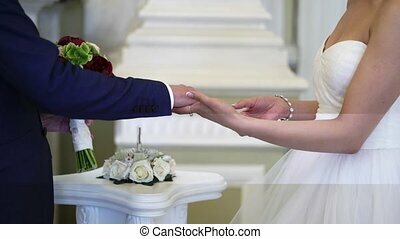 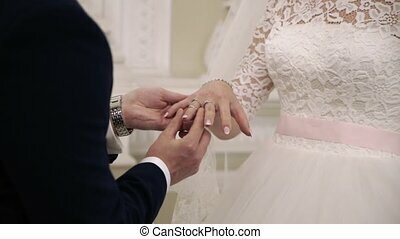 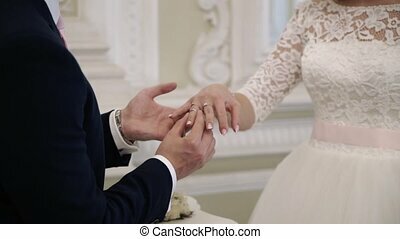 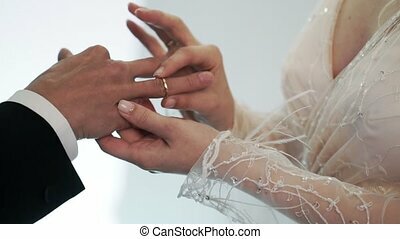 marriage hands with rings.